The Aercore™ models excel in both areas. All of these aerators can pull as many as 30 cores per square foot. The number of holes per square foot is a variable number based on the ground speed of the tractor. Most competitors try to quote high numbers of square feet per hour. The Aercore™ 2000, 1500, and 1000 use the same belt-driven design, which provides a quiet, smooth operation that does not require lubrication. A matched pair of fiberglass-reinforced belts provides long life and requires minimal adjustments. Even the occasional belt replacement is made easy by having all the belt drive components located on top of the machine, where they are easily accessible. All the drive components are easily located for daily checks and routine maintenance. The entire drive assembly utilizes sealed bearings, so there is no need for daily lubrication. The Aercore™ 1000, 1500, and 2000 have a large, 6-in. (15.2-cm) diameter roller, which provides better ground clearance and reduces the potential for turf scuffing in undulating areas. 4X tine holders are suited for those who want larger tines that have the closest-possible side-to-side hole spacing. 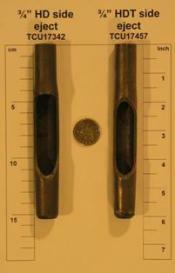 The 4X tine holders have a hole spacing of 2.4 in. (61 mm). 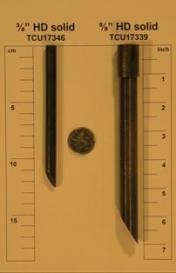 There are two 4X tine holders—one for tines with a 7/8-in. 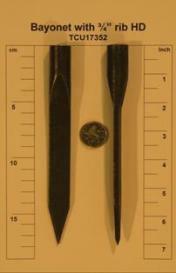 (22.2-mm) mounting diameter and one for tines with a 3/4-in. (19.0-mm) mounting diameter. 3X tine holders are also for larger tines, but at a wider spacing. The 3X tine holders have a spacing of 3.2 in. (81.3 mm). 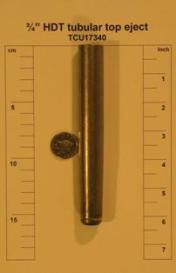 There are also 3X tine holders—one for tines with a 7/8-in. 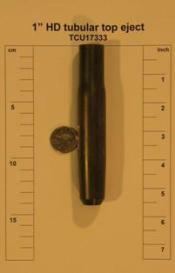 (22.2-mm) mounting diameter and one for tines with a 3/4-in. (19.0-mm) mounting diameter. Mini tine holders are for those who want to poke a lot of small holes. 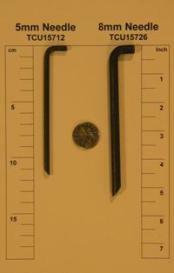 Mini tine holders provide a hole spacing of 1-3/8 in. (34.5 mm). The mini tine holder is compatible with tines that have a 3/8-in. (9.65-mm) mounting diameter. Needle tine holders are for making the smallest-possible hole when aerating greens. Disruptions of play can be minimized by not having to pick up cores after aeration. 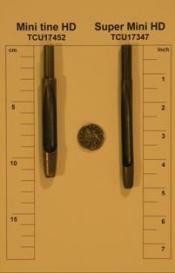 Needle tine holders provide a hole spacing of 1-3/8 in. (34.5 mm). The needle tine holder is compatible with both the 0.20-in. (5-mm) and 0.31-in. 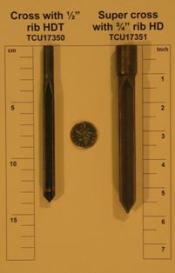 (8-mm) tines. NOTE: These holders are for the L-shaped needle tines. The park stand design allows quick and easy removal of the park stands for aerification and easy attachment for storage. No tools are needed to remove and attach the improved park stands. Serviceability is a key issue on aeration equipment, and the Aercore 1000, 1500, and 2000 have the best service access in the industry. As the photo illustrates, with the cover lifted up, the drive assembly is readily accessed. The entire tine ram assembly can be removed in a matter of minutes by removing a single cap screw on the top end and four bolts on the rear frame. Tines can easily be changed from the rear of the machine in minutes, as well. Access to the tine holders is also achieved from the rear of the machine, making it very convenient to alter the hole spacing with a different set of tine holders. Belt changes can be easily accomplished because they are readily accessible. Attaches to the rear of the aerator to gather cores in a row for easier pickup. 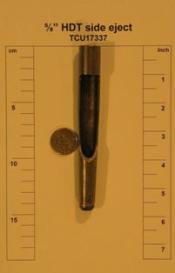 Side-eject tine used for stickier soils that may tend to plug tubular tipped tines. HDT - the highest quality of tine in the range. A hardened tip is joined to a high-quality body. These tines are exceptionally long lasting. Furthermore, the tine will retain its length during its working life, so the holes on the last green aerated will be comparable with the first green aerated. HD - the same high-quality body as the HDT, but without the high-specification hardened tip. 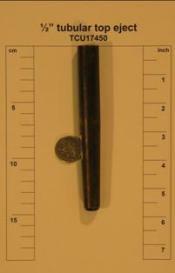 Tine length remains more consistent than conventional tines. Variables such as soil conditions and operator behavior will influence actual life expectancy. Having compaction problems on the fairways? These tines pull a larger core than any other John Deere tine. HDT -- the highest quality of tine in the range. A hardened tip is joined to a high-quality body. These tines are exceptionally long lasting. Furthermore, the tines will retain their length during their working life, so the holes on the last green aerated will be comparable with the first green aerated. The popular selection for coring on greens, tee boxes, approaches, and fairways. Side-eject tines are useful in soils that tend to plug tubular tines, particularly fairways. HDT - the highest quality of tine in the range. A hardened tip is joined to a high-quality body. These tines are exceptionally long lasting. Furthermore, the tine will retain its length during its working life, so the holes on the last green aerate will be comparable with the first green aerated. Allow for a quicker recovery period for the playing surface. Pulls a core with minimal surface disruption. Conventional tubular coring tines that can be used on greens, tees, approaches, and fairways. MD - medium-duty tine. Lower-cost tines in comparison to the HD and HDT tines, but also shorter life. Conventional solid tines, but with the long-life benefits of the HD design. Used when pulling a core is not necessary or desirable. Needle tines allow in-season treatment to introduce air and water into the root zone. Play can resume almost immediately. For those who believe in little and often. Popular during high-stress times of the year when air and water requirements are increased. High surface area and little disruption to the playing surface. Holes stay open for a long time. Orient the bayonet with the direction of travel for optimum performance. The cross shape creates a hole with a large surface area compared to an equivalent-sized solid tine. The perimeter of the cross tine is greater than the perimeter around a comparable coring tine, impacting more surface area.